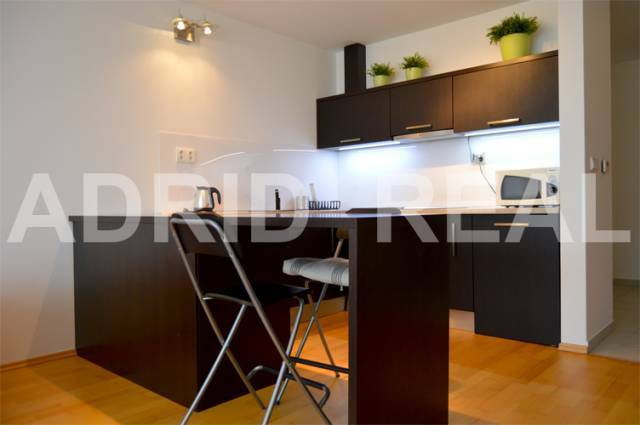 For rent new, cozy, copletely furnished, 2 bedroom apartment on Tomašikova street. The apartment with an area of 41m2 consits of an entrance hall with buiit-in wardrobe, living room, conected with fully equpped kitchen, dining room, bedroom, bathroom with shower corner (incl. washing maschine) and balcony. From the area is a very good acces to the city centre by car and public transportation and walking distance to Kuchajda lake. Your listing no. ZR-475516 seems interesting, please contact me. Send me more information about the offer no ZR-475516.